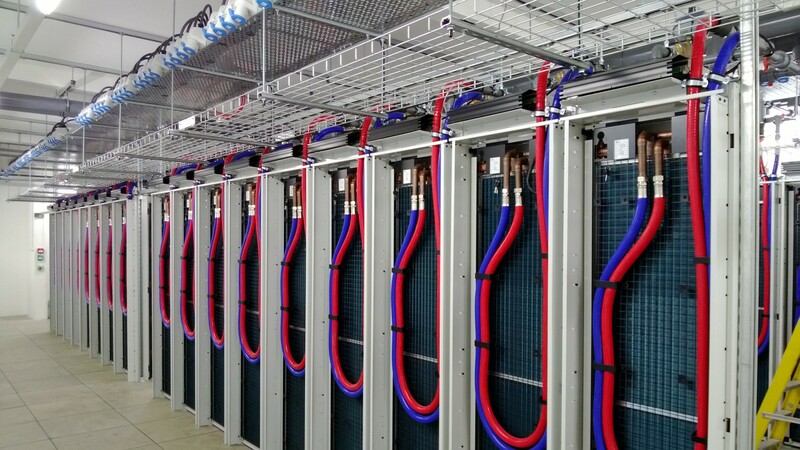 As water cooling in data centres becomes the preferred choice for many OEMs and operators, the issues facing them has been which flexible connection (hose) should they choose with the norm being to opt for a traditional black rubber hose which are often fitted with a swivel coupling to meet the operational demands required for these installations. Working in conjunction with a leading OEM of computer cooling solutions UK based Hydraquip Braided Hose Division looked at the many issues that arose in systems where a flexible connection was required. One of the main concerns was the need for the hose to be able to offer good flexibility (lateral movement) and more importantly allowing for a degree of flexing (torsion) especially when fitted to rear door coolers. Other considerations included secure end connections, ease of identification and the ability to work on positive (pressure) and negative (vacuum) systems alike. The solution was delivered in the form of the Hydraquip DataCool range of finished hose assemblies which are manufactured from silicone rubber which is reinforced to enable them to work easily at system pressures. Supplied in red and blue covers for ease of identification, each assembly is offered with a choice of end terminations hydraulically swaged on with stainless steel ferrules allowing for a secure and leak free connection. Prior to despatch every assembly is visually inspected and pressure tested then individually marked with a unique reference allowing for full life traceability. In addition to meeting the specific flexing requirements, DataCool hose brings additional benefits and peace of mind with regards to fire related issues. In the unfortunate event of a fire these silicone assemblies have a high ignition point of 450°C and do not give off toxic gasses, including halogens. The fumes given off are also much less dense and tend to be white (silica) rather than the black fumes given off by other rubbers such as epdm. Initially available in DN20 (3/4”) & DN25 (1”) bore sizes the range has been extended to cover from DN06 (1/4”) up to DN32 (1 ¼”). 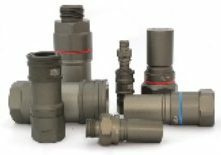 Further extensions to the range include the addition of the CEJN ultraFLOW range of non-spill low pressure drop quick release couplings which can be fitted directly on to the hoses. 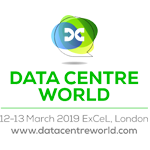 HYDRAQUIP will be exhibiting their unique DataCool hose range along with the ultraFLOW range of quick connect couplings at Data Centre World, London from the 12th – 13th March 2019 at Excel. Visit them on stand D970 to discover more about these and other ranges offered by the company for DC cooling systems.